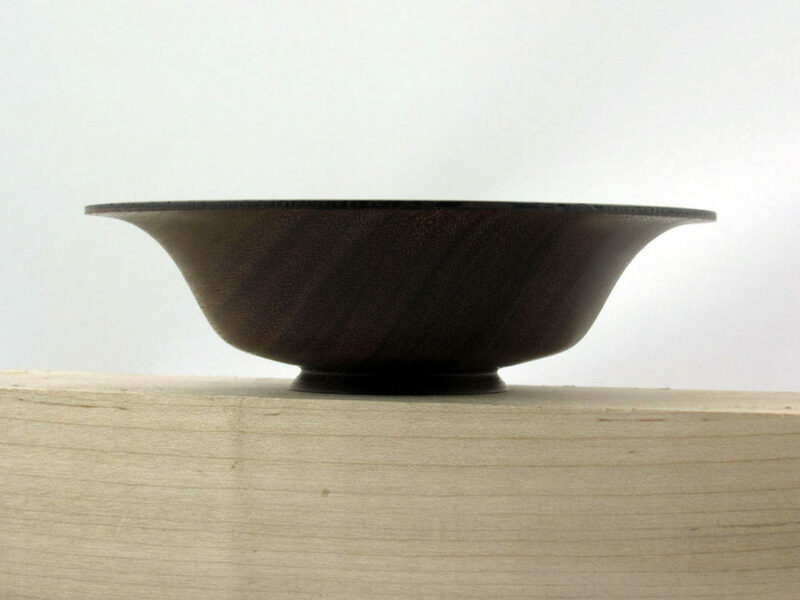 An early experiment in bowl making with two wood species. 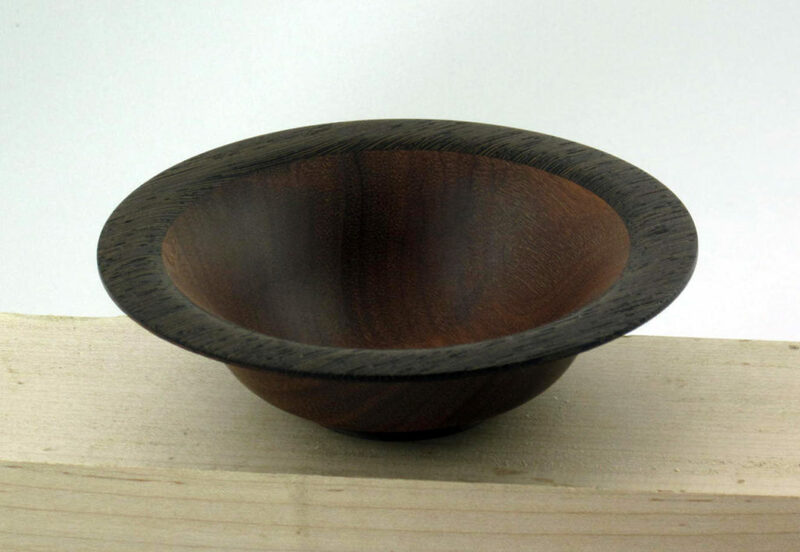 I chose mahogany and bocote as they are two darker woods that still contrast well. 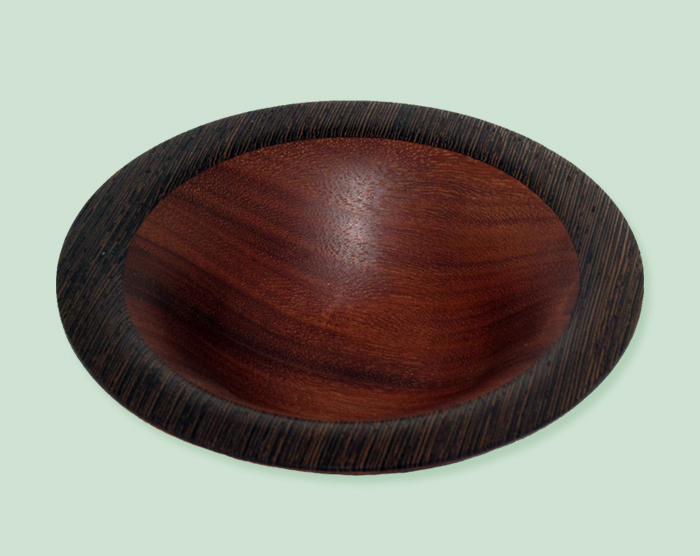 The grain of the bocote was run perpendicular to the grain of the mahogany to further highlight the contrast. 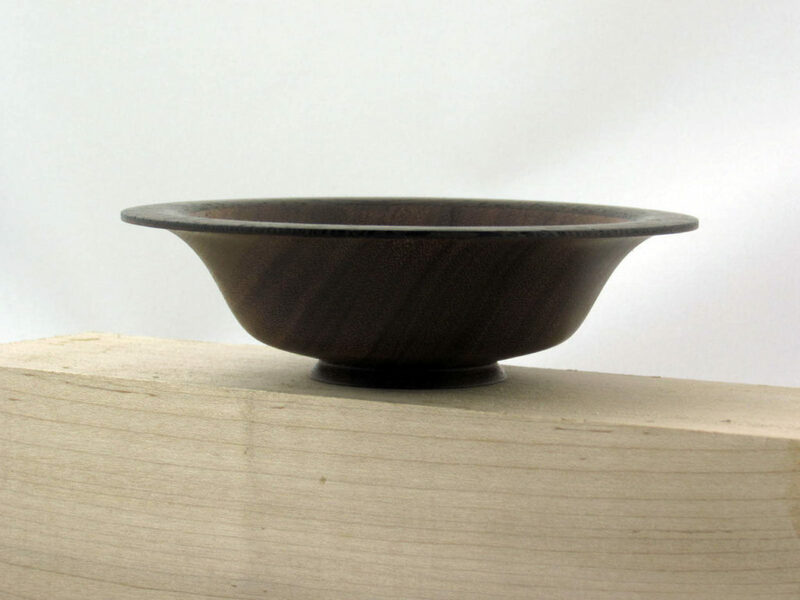 The bowl was finished with a food-safe walnut oil.